You are here: Home / US Powerball News / California Jackpot Winner Collects! US Powerball is heading into Saturday’s draw with a $239 million jackpot! 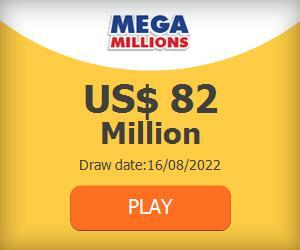 This fabulous amount of money is good enough to be the 2nd largest jackpot in the world after intra-continental rival US Mega Millions which is currently stealing the spotlight with a $282 million jackpot. But I digress, $239 million is a lot, and I mean A LOT, of money. Win this jackpot and you won’t be thinking about whether it was the world’s biggest or second biggest, no, you’ll be over the moon that you won! Speaking of big jackpots, the winner of the tenth largest jackpot in American history finally came forward to collect his $447 million prize. Jeff Lindsay did not wish to be interviewed or photographed, but according to California law his name was released. Lindsay opted to take home the lump sum and walked away with $279 million before taxes. “We are obviously thrilled with this tremendous stroke of good luck and are still getting our arms around what it means for us,” Lindsay said. He also released a statement outlining his plans for his winnings. Lindsay was the sole jackpot winner in the draw of 10 June 2017. His winning numbers were 20, 26, 32, 38, and 58. Lindsay purchase his lucky ticket at the Marietta Liquor & Deli, in Sun City, California. The retailer received a $1 million prize for selling the ticket. Before purchasing the Powerball ticket Lindsay had purchased ten scratch offs at the same store, of which one was a winner. Upon returning to the store to cash in his winning ticket Lindsay decided to purchase ten Powerball tickets. Good thing he did! Lindsay left his ticket sitting on the counter until he heard that the winning ticket was purchased in Sun City, only then did he think to check it. You Can Play US Powerball Online! No matter where you are it is always possible to play the US Powerball online with real tickets. If you want to have a chance at this incredible jackpot you’ll need to act fast and get your US Powerball tickets now!